My husband and I had this salad at a friend's house when we were engaged. I've been making this salad for 14+ years! It's a fancy little salad that will make you crave it after your had it. Enjoy! 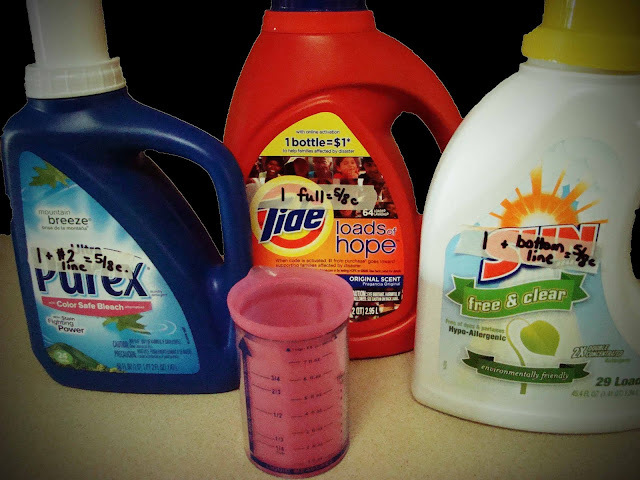 One Year of Laundry Detergent for Less Than $3! Well, August 21, 2012, I finally used the last of my laundry detergent that I made a year ago...yes, a YEAR AGO! Last August I made my own homemade liquid laundry detergent and our family of four has used this detergent every week for a year. I still can't believe it! 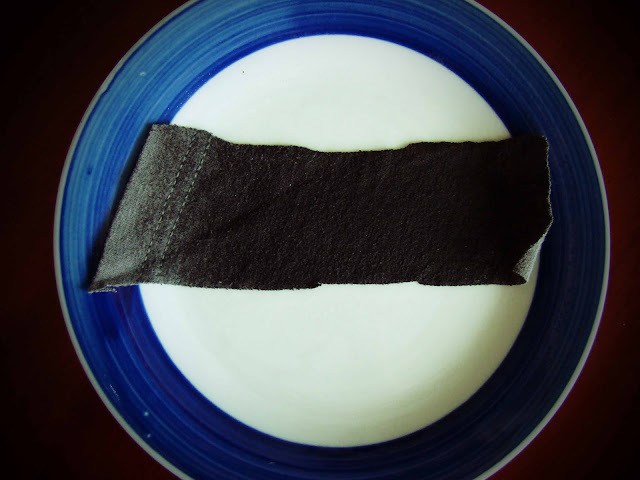 I remade the recipe the other night and all I needed to buy was another Fels-Naptha bar which was $1. 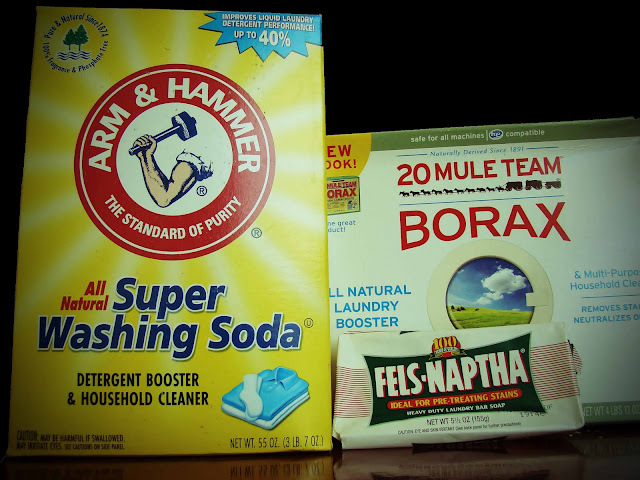 I have so much Washing Soda and Borax from last year that I could make a lot more recipes. I have figured, it cost less than $3 to make one large recipe of detergent...which, may I say it again...lasted our family ONE WHOLE YEAR! 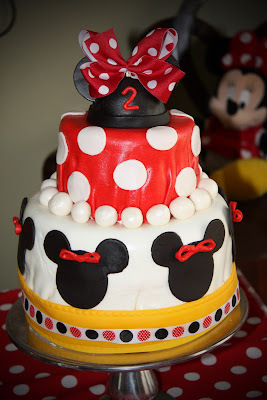 My sweet, baby girl has been in love with her Minnie Mouse, since my husband and I got back from Disney World. It was just inevitable that her 2nd birthday would be done in Minnie Mouse. How did I save money pulling off her birthday party? 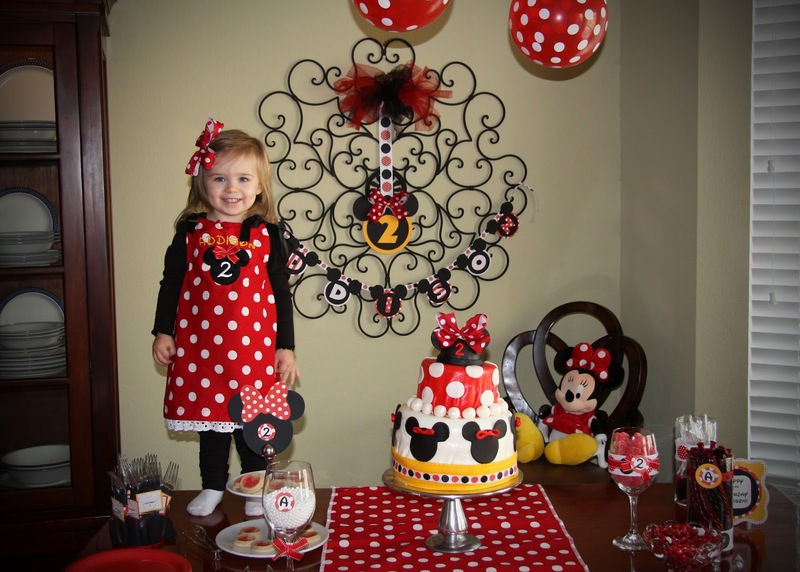 I did it all: the cake (I've invested in several cake decorating classes), the dress (I've invested in sewing machines), and a friend let me use her Cricut to make Addison's banner (which will be placed in her scrapbook after the festivities). 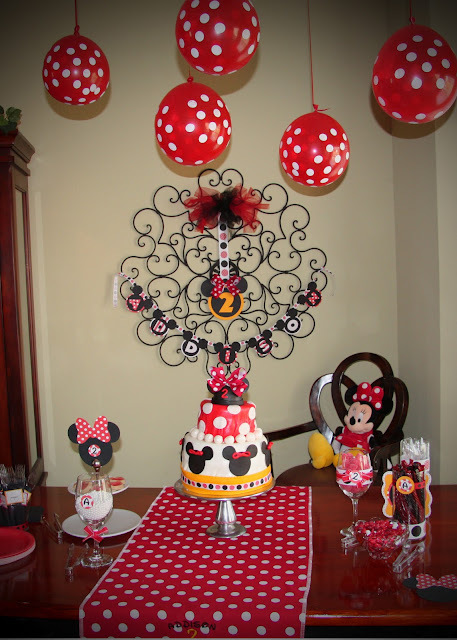 It just proves, if you do it yourself, you CAN pull off a nice party without all the $$$! Addison LOVED her birthday! What we do for our babies! They are worth every bit, aren't they!? Baking Products that Last: If you don't use all of your baking products or you are the type that buys in bulk, did you know you can preserve a lot of them in the freezer? Baking Chocolate, Baking Chips, Flour, Nuts, Dried Fruit, Butter, Marshmallow and Cream Cheese!!! 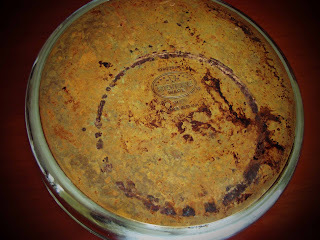 Dust Your Pan with Cocoa: Instead of dustinng your pan with flour and it leaving your cake with a white residue, try dusting your chocolate dessert with cocoa instead. 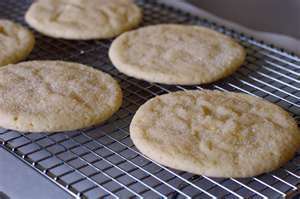 Quick Cookies: When making drop cookies, make a double batch. Form cookies into balls and freeze. Once frozen, move them to individual freezer bags. 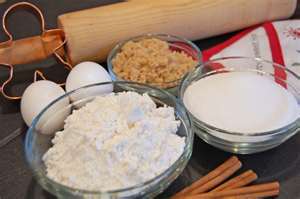 Later, you can bring out as many cookies as you need to bake, and no need for thawing. This is great for those moments when you have unexpected guests. Dough Sticking to Your Rolling Pin: Do you have problems with moist dough sticking to your rolling pen? 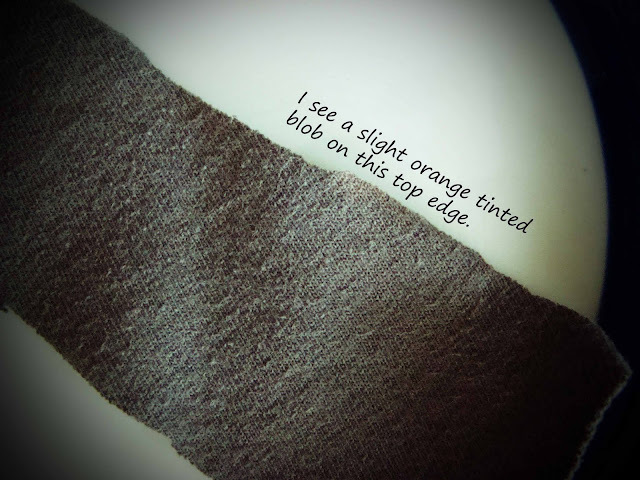 Take a pair of clean, never-worn knee-high stockings and cut a hole in the toe. Slide the nylon over the rolling pin. The nylon will help keep the dough from sticking because it makes an even layer of flour on the pin so you can easily flatten your dough. 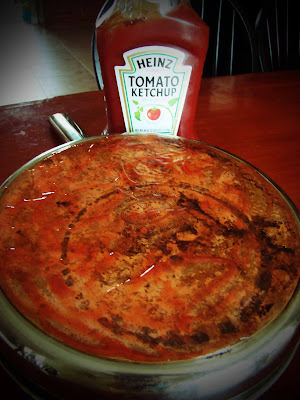 I always heard that tomato sauce or ketchup would clean copper, but I needed to try it for myself. My poor pots are over 8 years old and I obviously haven't taken great care of them. I have so many baked on stains, it's not funny. Well, I smeared ketchup all over the bottom of the copper skillet and let it sit there for about ten minutes. I could tell an immediate change. The copper looked fresh and newer than before. I think I like this trick! Now, I just need to do the rest of my pots and pans. Plus, I need to find a good way to clean the years of burned stains off the bottoms. With school starting back, the kiddos will be bringing more germs in the house, not to mention the germs that invade during the up and coming cold/flu season. Therefore, why not start a daily disinfecting routine in your home…for LESS than a penny a week…yes, LESS than a penny! Make your own version on Clorox Anywhere Spray! Anywhere Hard Surface daily sanitizing spray can be used in every room of the house, on hard, nonporous surfaces including: highchairs, changing tables, sinks, plastic or glass cutting boards, refrigerators, countertops, doorknobs and lunch boxes. There are surfaces you will want to sanitize more often—like plastic cutting boards and other food contact surfaces to help reduce the spread of harmful bacteria, like E. Coli and Salmonella choleraesuis. 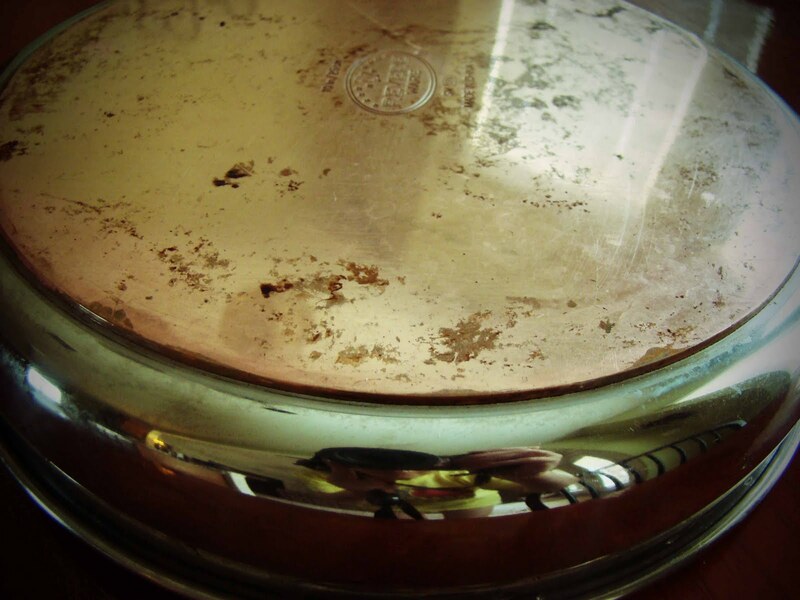 Bacteria from the kitchen and bathroom can quickly spread throughout the home by traveling on our hands from one surface to another, so it is important to manage the spread of bacteria on frequently touched surfaces. Bacteria can survive on the bathroom doorknob or the kids’ toys for up to 72 hours, leaving plenty of time for them to be picked up by another family member. This daily sanitizing spray should not whiten or bleach surfaces, nor should it damage fabrics or clothing, due to its low bleach concentration. That said, it is intended for use on hard, nonporous surfaces. This is the part that I had the most questions about. I have had clothes spotted by bleach and ruined. Therefore , I did my own investigation with this recipe and sprayed it on an old dark gray piece of t-shirt to see how it would effect it. I didn't just spray it on, but I pretty much soaked it. I am a little disappointed to see what I found. After letting it dry outside in the heat for over an hour, it looked fine except for a slight orange tinted spot on the edge which proved to be a result of the bleach. Therefore, I will not be spraying this solution near my good dish towels or rags, but I will use it! Note, again...I soaked it in the solution, not just a spritz. I will, also, make sure to shake the bottle before using. How long should you let it sit? The product takes two minutes to kill 99.9% of common household bacteria on hard, nonporous surfaces. After that time, you can wipe up or let the liquid evaporate. An average bottle of Clorox Anywhere Spray (22 oz.) costs between $2.75-$3.25. (You can find larger bottles for about a dollar. This is just the size I preferred). If I were to use a 22 oz. bottle (equal to the Anywhere Spray), I could get 384 full bottles out of my 3 qts. of bleach!!!! All for only $2.61!!! Therefore, I am paying less than a PENNY for each 22 oz. 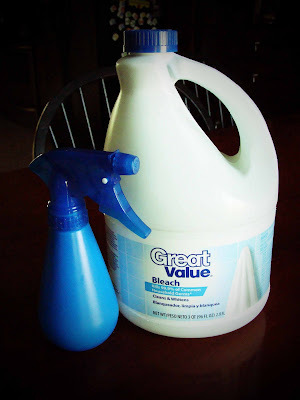 bottle of my own version on Clorox Anywhere Spray! AMAZING! If I were crazy and bought 384 bottles of Clorox Anywhere Spray at $3/bottle, I would be paying $1,152! (All found at Walmart around the laundry detergents). This is the most time consuming part, but only takes 5-10 minutes. 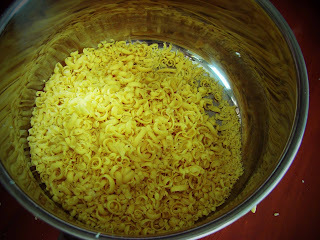 Add soap shavings to a saucepan with water. Stir continually over low-medium heat until soap dissolves and is completely melted. 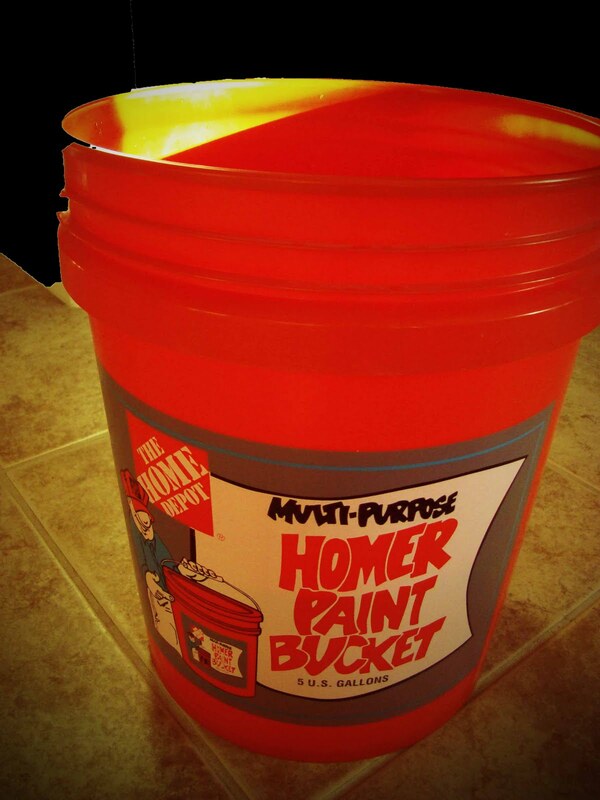 Fill a 5 gallon bucket half full of hot tap water (2.5 gallons = 10 quarts). 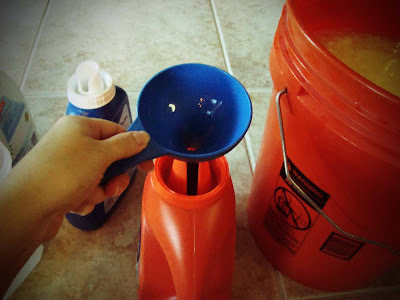 Add melted soap, washing soda, and Borax. Stir well until all powder is dissolved. 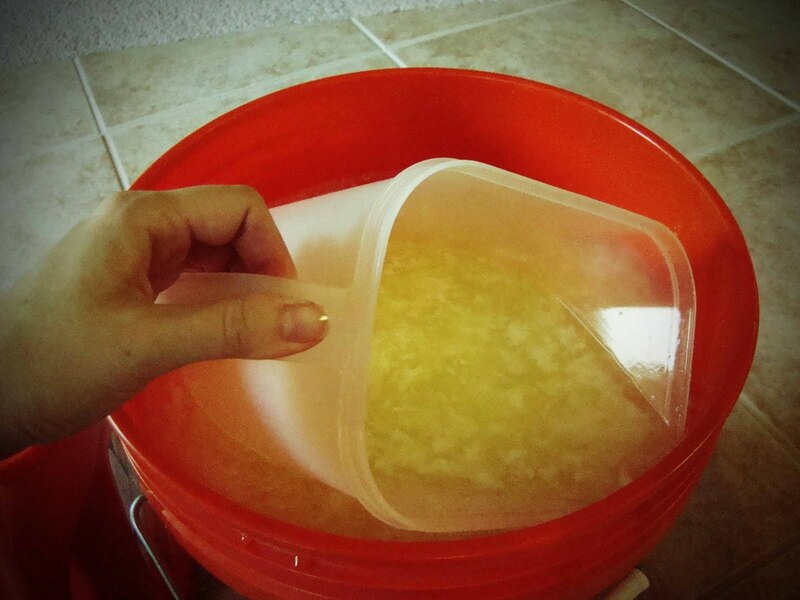 Fill bucket to the top with more hot water. Stir, cover and let sit overnight to thicken. 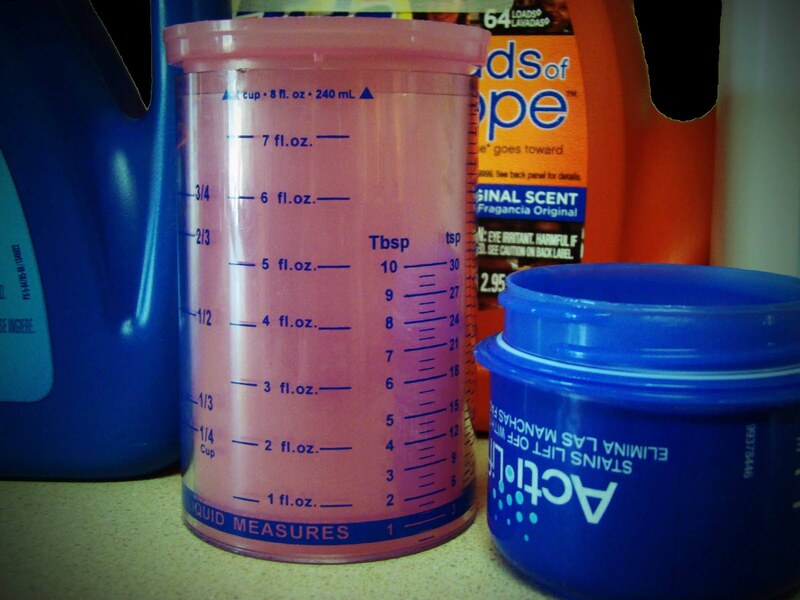 For top loading machines, the detergent will take 5/8 cup per load. 5/8 cup= 5 oz. or 1/2 cup + 1/8 cup. 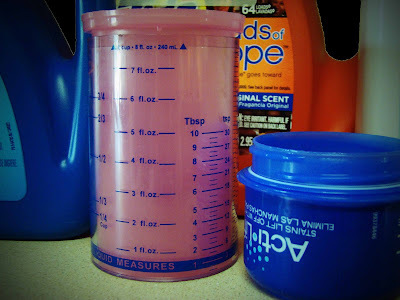 Also, if you have a Tide liquid jug, the top cup equal 5 oz. to the very top. I took all of my empty detergent bottles and measured the caps of each bottle to figure what makes 5/8 oz. 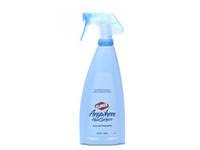 Example: Purex bottle takes 1 cap full + fill to the 2nd line = 5/8 oz. I wrote each measurement on each bottle, since each measures different. For front loading machines, the detergent takes 1/4 cup per load. 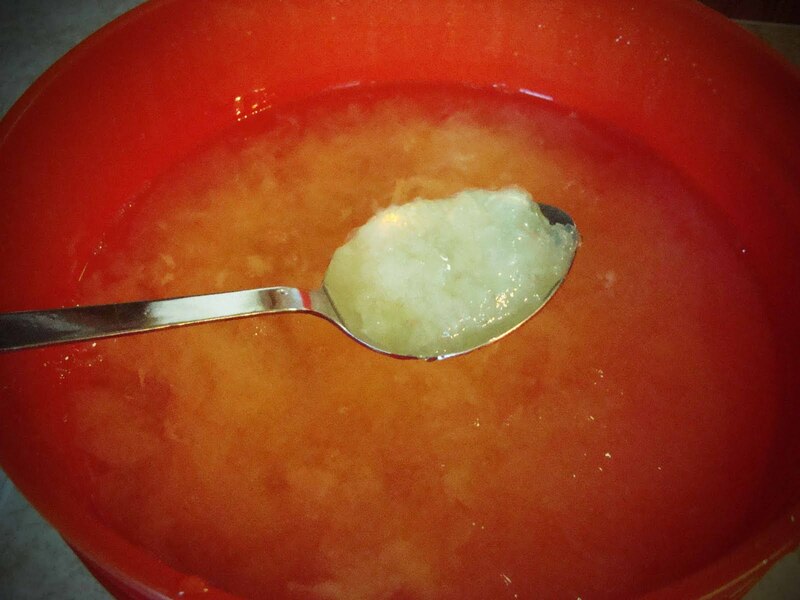 Stir, but know that it is normal to have a gel like consistency. Fill used but clean laundry soap dispenser half full with soap. Then, fill the jug to the top with additional water. 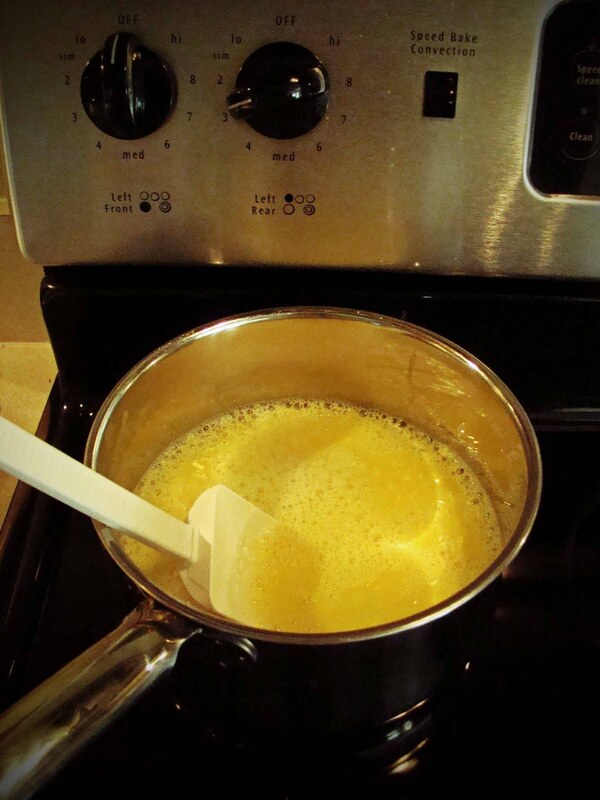 Tip: I tend to start my load with hot water for only a few seconds so that the soap will quickly dissolve. My Opinion: I have washed all clothes and towels using this recipe and it seems to have worked great. The scent is light but clean when just using soap. I do, however, use drier sheets and that adds a stronger scent to the clothes. I noticed the soap does not make suds, but I had read this before I made it. 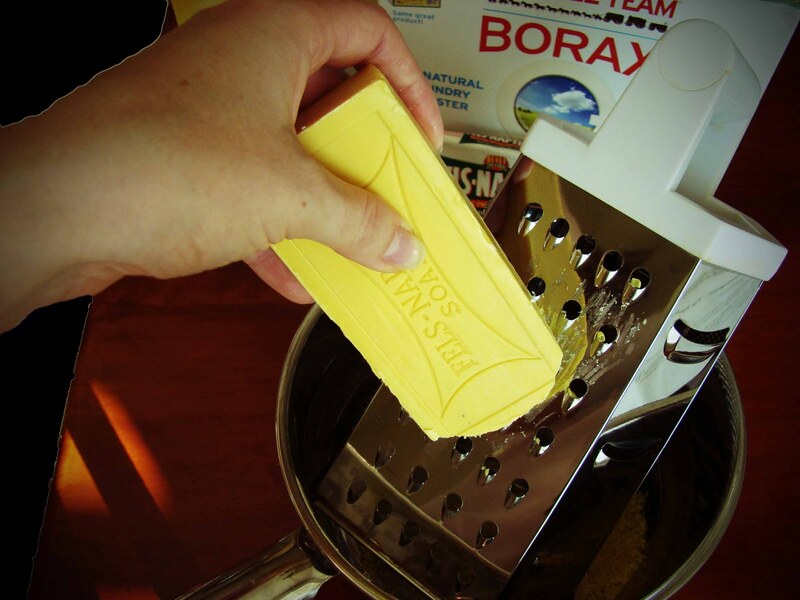 I would recommend trying this recipe. It's super cheap and worth the try.